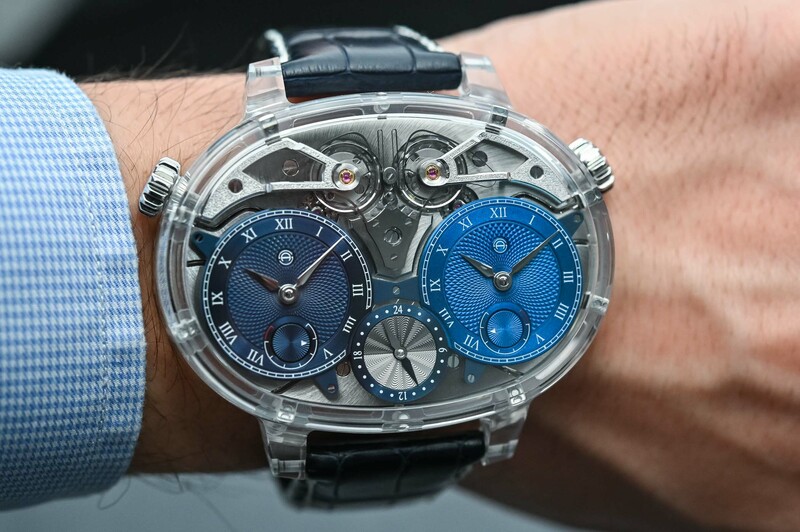 One of the most innovative watches of the last decade fully explained. 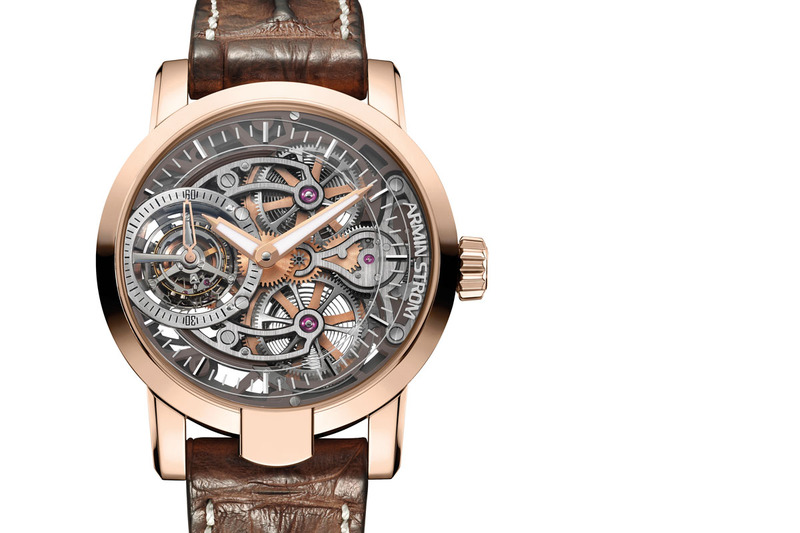 Armin Strom was already known for its fascinating juxtaposition of modern skeletonization and traditional Haute Horlogerie finishing. Something that here, at MONOCHROME, we’ve always regarded as a true “watchmaking lesson on the wrist”. Due to their openworked nature, you can see how the movement works. 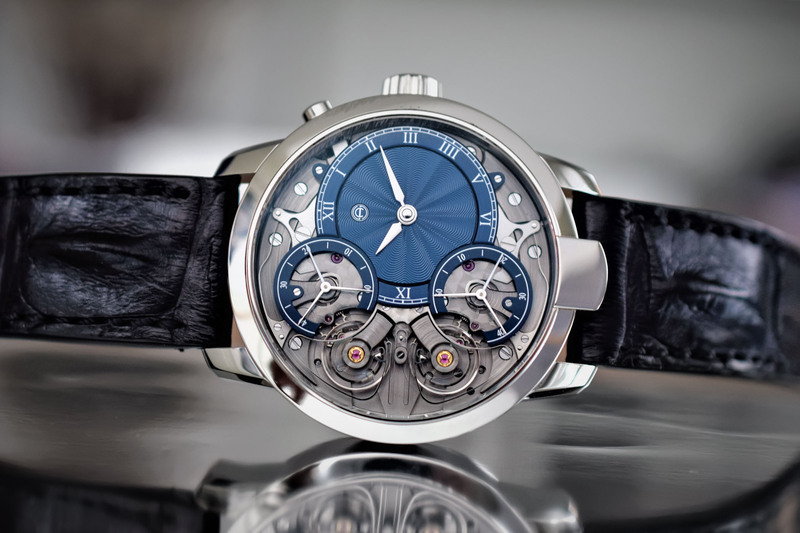 In 2016, Armin Strom introduced a watch that is nothing short of spectacular and that showcases one of the ultimate challenges in chronometry: resonance. Today, we have a close look at one of the most innovative watches of the last decade, the Armin Strom Dual Time Resonance – an evolution of the base resonance concept that benefits from the dual-balance architecture to create a twin movement with a dual-time feature. We’ll look especially at the new Armin Strom Dual Time Resonance Sapphire, which exposes all the mechanics through its transparent case. What is resonance? Back to 1665 when the prominent Dutch mathematician, scientist, and horologist Christiaan Huygens reported an odd phenomenon. Two of his recently invented pendulum clocks hanging from a common wooden beam were oscillating in perfect consonance. If the synchronization was disturbed by some sort of interference, it was gradually re-established because of the connection between the two clocks. The phenomenon has fascinated many watchmakers over the years, though resonance has rarely been attempted, let alone mastered. The list of watchmakers to have successfully worked on resonance is extremely short. It includes past masters like Astide Janvier and the great Abraham-Louis Breguet (the phenomenon of resonance can easily be observed with two metronomes with a physical connection – as you’ll see in our video at the top of this article). 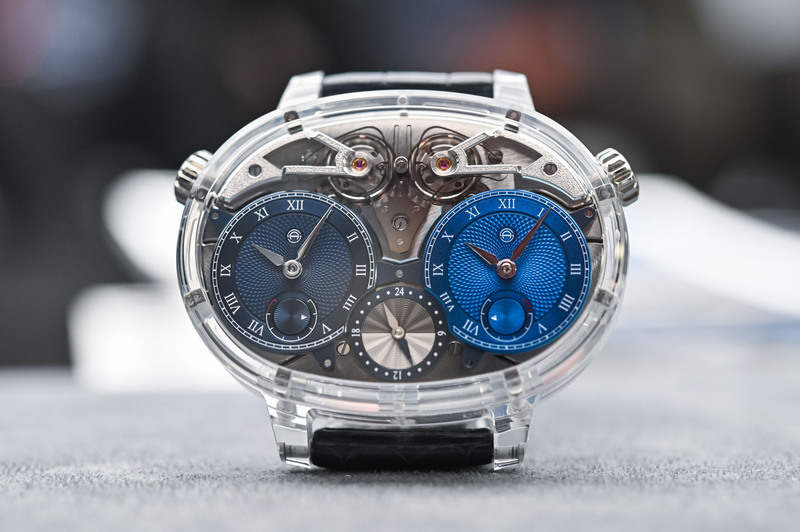 Few modern watchmakers have worked on this phenomenon and even fewer have mastered it. 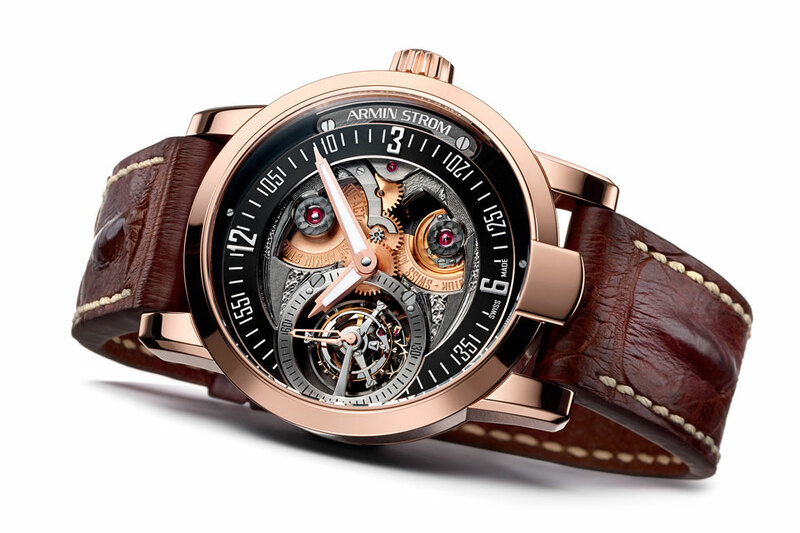 In 2016, Armin Strom presented one of the most spectacular and most achieved applications based on resonance, the Armin Strom Resonance. Based on Huygens’ coupling device, the brand applies this to modern watchmaking with two regulators connected by a steel spring – thus improving the resonance phenomenon and making it more stable than ever before. 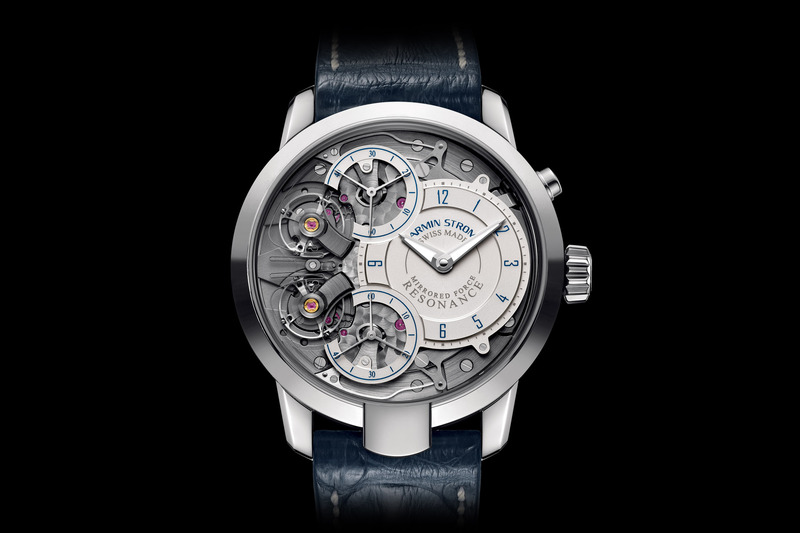 In 2018, Armin Strom presented an evolution of this concept, the Armin Strom Dual Time Resonance. Benefiting from the dual-movement architecture, the brand applies this to a watch that can display independent time zones, each regulated by its own regulating organ but connected by the resonance concept – with improved and stable chronometry. And as we wanted to highlight this impressive development, we’ve decided to take a closer look at the latest version with a sapphire case, so you can observe how this complex, innovative movement works… “Watchmaking lesson on the wrist”. Enjoy the video, which you can see at the top of this article. 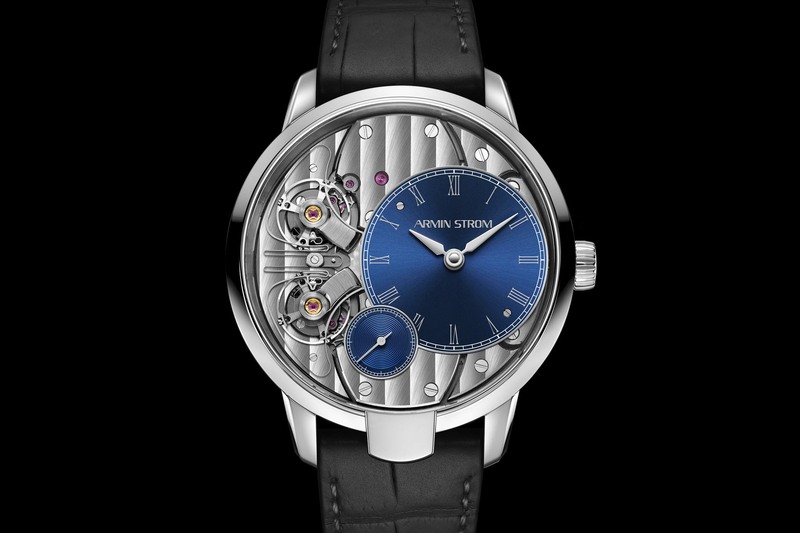 More details at www.arminstrom.com. Undoubtedly very clever, an elegant solution to getting the two time displays in sync. A solution looking for a problem though. An ordinary four hand gmt will do everything you need and in a more aesthetically pleasing fashion.